Beautiful crocheted hat using Caron C Pantone yarn! Super soft and cozy to wear, and sure to keep you warm! 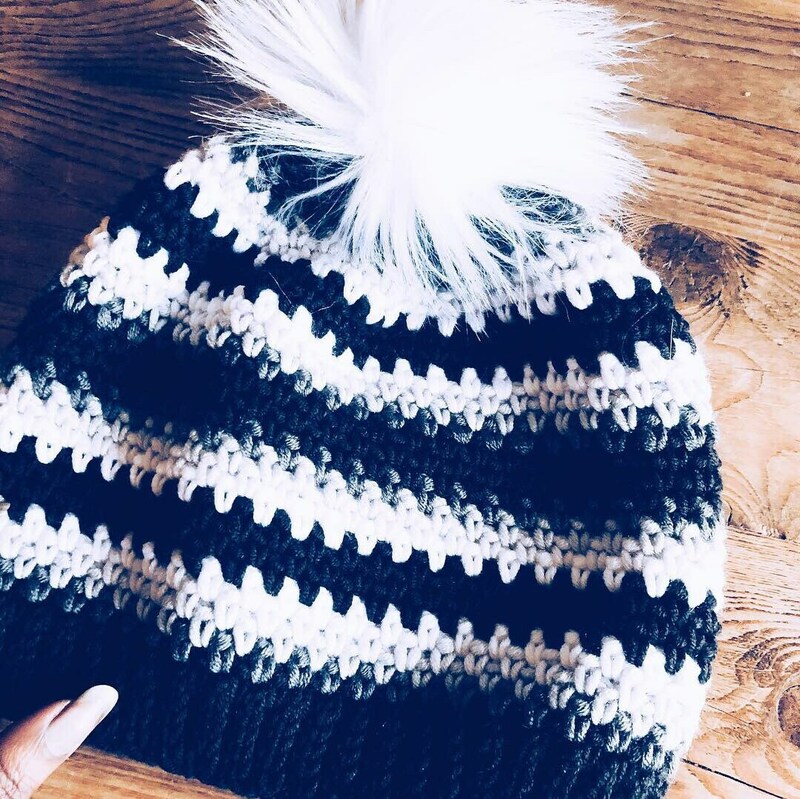 Topped with a faux fur removable Pompom! Suggested care: hand wash with cold water and gently squeeze excess water and lay flat to dry. Remove Pompom before washing.